CTM Europe; for cryogenic tank maintenance, pressure systems inspections, supply of Cryotherm products and spare parts, and other specialist industrial gas services. We would be pleased to hear from you whatever your query or issue. Our qualified designers and engineers are always on hand to talk to you about your needs and to offer constructive and appropriate advice where possible. We have significant experience in all areas of industrial gases and pressure systems. 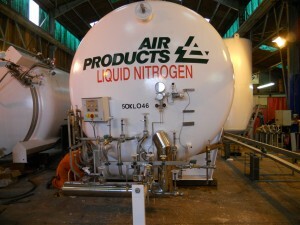 For information, troubleshooting, or advice about pressure systems inspections, Super insulated Vacuum Lines, cryogenic tank maintenance, repair or refurbishment, Cryotherm products or other gas equipment supply, pipework installations or our complete design and build service please use one of the methods below. Or use this handy contact from below.